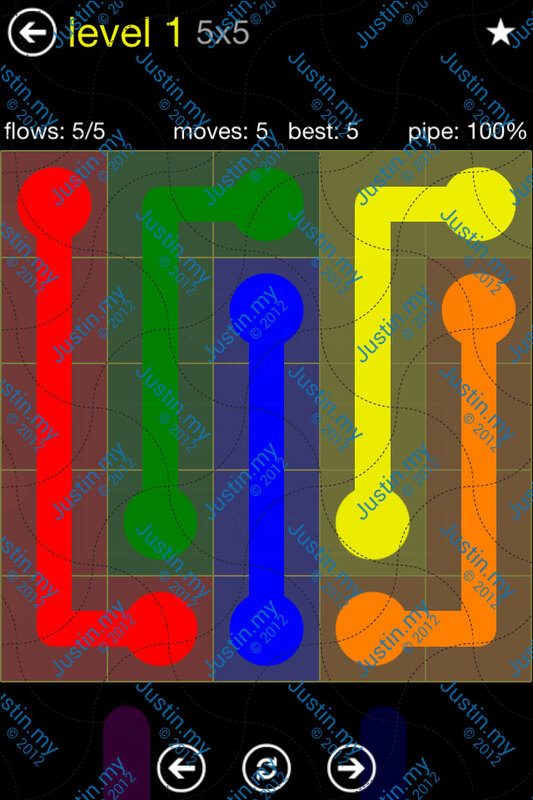 low is a simple yet addictive puzzle game. Free play through hundreds of levels, or challenge yourself in Time Trial mode to see how fast you can solve randomly generated puzzles. Gameplay ranges from simple and relaxed, to challenging and frenetic, and everywhere in between. How you play is up to you. So, give Flow a try, and experience “mind like water”! This game is very addictive, and use up a lot of your logic the drag the colors to link together, and full the whole board. It come with few sizes of board 5×5, 6×6, 7×7, 8×8, 9×9. Some of them are really difficult, you should try your best before viewing the cheat or walkthrough in here, if not the fun of the game will gone. I’ve provided all the solutions for the game with my best move, wish can save your time to break the game.